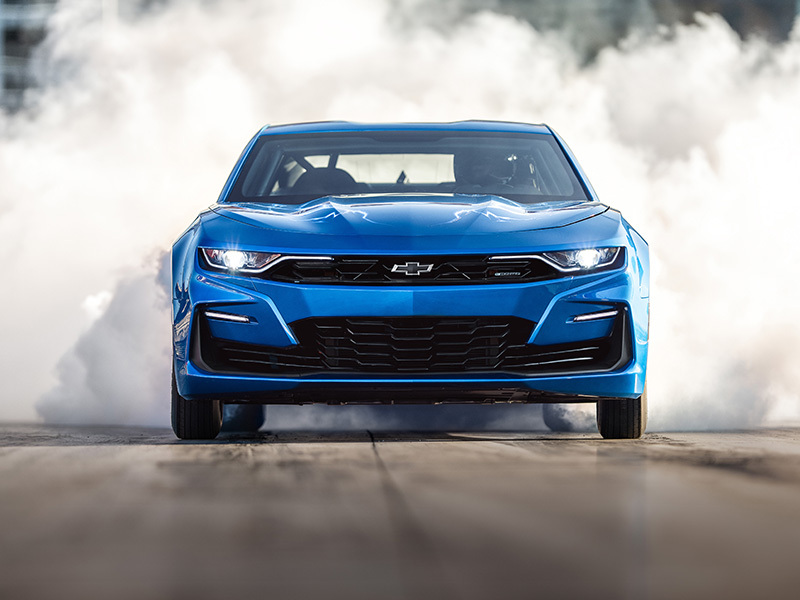 Chevrolet has brought an electrifying surprise to SEMA 2018 by presenting a battery-powered concept version of its COPO Camaro to attendees. 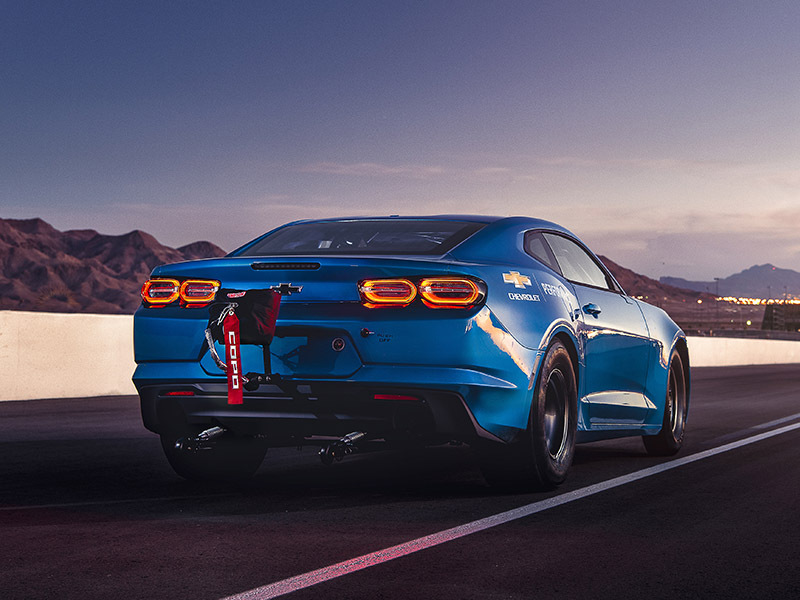 The 700-horsepower monster makes use of a 2019 Camaro shell fitted with 800-volts in pure electric power, enabling the car to run the quarter mile in under 10 seconds. The automaker partnered with both Hancock and Lane Racing to build the eCOPO concept variant of its Camaro, prepping the car for the drag strip by outfitting it with all the necessary racing components and also the needed battery power to shoot the car down the runway. Comprised of four individual modules, the eCOPO uses twice the voltage as the Chevrolet Bolt EV, enabling it to potentially charge just as fast as Porsche's upcoming Taycan electric sedan. The fast charging, which is favored due to quick topping-off between runs, is also coupled with the benefit of more efficient power transfer to the single electric motor, allowing repeat sprints down the track without fast power degradation. Because the Camaro wasn't designed to be electric from the ground up, its battery packs aren't located in the floor of the car. The use of four 175-pound packs was chosen to allow for optimal weight distribution throughout the vehicle, two of which sit in the rear seat of the car, and two more in the trunk (one in the spare tire well, and the other over the rear axle). The eCOPO's motor is based on the output of two individual Borg Warner HVH250-150 electric power units, producing a combined 700 horsepower and 600 pound-feet of torque. The positioning of the motor is in the same location as its gas-powered counterpart, meaning that Chevrolet was able to utilize a traditional transmission with its setup. Chevy boasts that the electric motor uses the same bell housing mounting pattern and crankshaft flange as any LS-coded engine variant in its lineup. This means that the powerful electric motor will bolt up to most GM transmissions. In fact, Chevy actually uses a "race-prepped" Turbo 400 automatic transmission in the eCOPO and retains the factory-appointed location of the transmission and all other driveshaft components. Chevy says that it is "exploring" the option of an electric crate motor for sale in the future. The COPO namesake was first used in 1969 when an Illinois Chevy dealer began piecing together a high-horsepower variant of the Camaro using GM's ordering system, which was known as the "Central Office Production Order" (COPO). 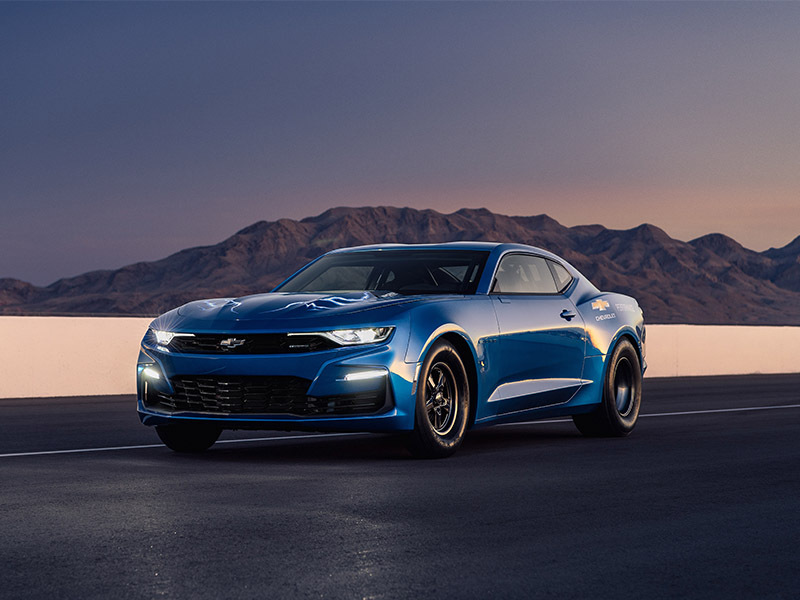 The configuration wasn't available directly through Chevrolet, as it undermined the Camaro Z28 package offered to the public by swapping out the car's factory 396 "big block" V-8 for the more robust ZL1 427 engine. Eventually, the dealer purchased fifty examples of the car in order to bring production to life and make it eligible for NHRA competition. In all, 69 total COPO cars were produced. Because Hellcat and Demon-hunting sounds like our kind of Halloween fun.